As the film capital of the world, Los Angeles, California, hosts dozens of film festivals each year. There is a wide range of film festivals from different genres like film noir, horror, and comedy; movies from the international stage; films created through the lens of the LGBTQ and black communities, and new media films created with virtual reality, artificial intelligence, and drone technology. The Los Angeles Film Festival celebrates the best of American and international independent cinema on September 20 through 28, 2018. It includes panels, seminars, music video showcases, high school programs, family-friendly activities, and numerous special events, including everything from gala premieres to free outdoors screenings. The Sunset Film Festival is a general subjects festival and awards ceremony covering all genres that include local, national, and international film premieres in June. Enjoy award-winning films previously screened at other prestigious film festivals such as Cannes, HollyShorts, Miami Beach Film Festival, and more. The AFI Fest is the longest-running film festival in LA. The American Film Institute screens more than 100 films from all over the world from November 8 through 15, 2018. In May, the Die Laughing Film Festival recognizes the fine line that separates fear and comedy and celebrates both with a festival dedicated to comedy films and horror films that are created by independent filmmakers. Also in May, the Comedy Films and Screenplay Festival is billed as the No.1 comedy festival and contest in the world. The event offers screenwriters, novelists, and storytellers at all levels fantastic opportunities. Raw Film Festival in June is a pop-up shorts festival focusing on fresh, edgy, subversive programming from up-and-coming innovative indies. The Hollywood Shorts Film Festival is the largest short film festival in the world. The festival screens over 400 short films with informational panel discussions, workshops, and a development market. Angeles Documentaries in May is an international festival that celebrates documentaries, one of the most difficult genres to produce. The annual festival of film noir, Noir City, is organized by American Cinematheque every April to present rare original films, most of which are not available on DVD, including films which have been recently restored by the Film Noir Foundation and the UCLA Film and Television Archive. 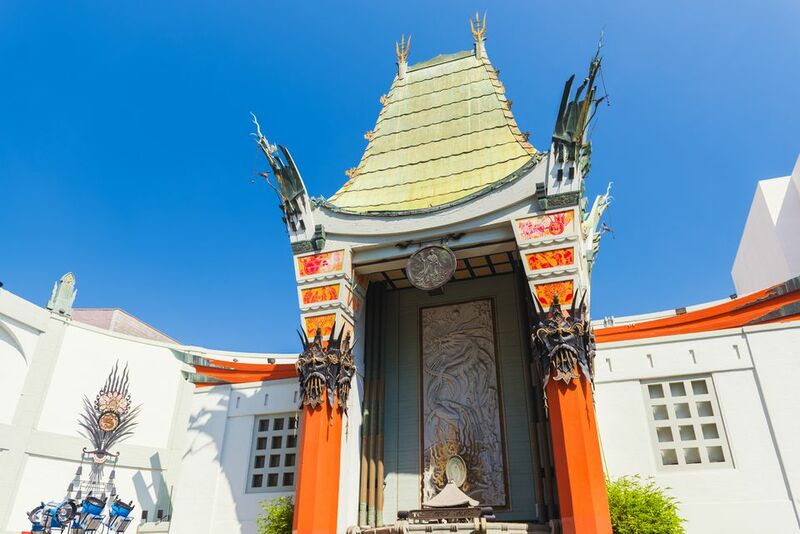 The TCM Classic Film Festival in April celebrates classic movies by showing them on the big screen in Hollywood movie palaces and bringing out the makers and stars of those movies for featured appearances. Every Labor Day weekend, the Cinecon Classic Film Festival is a five-day celebration of movies, specializing in rare and unusual movies from the silent and early sound era. It features screenings of over 30 classic films, celebrity guests, and film book and memorabilia shows. Most films are screened in 35mm and silent films include live piano accompaniment. In February, the Hollywood Black Film Festival dubbed “The Black Sundance,” is an annual celebration of black cinema featuring the work of established and rising filmmakers, actors, writers, and industry executives, from around the world. There are a number of LGBTQ film festivals in the L.A. region throughout the year, but Outfest from July 12 through July 22, 2018, is the largest film festival in Southern California and the region's largest gay and lesbian arts event, featuring more than 200 films, nine venues, and attendance of over 40,000 people. LA Femme International Film Festival focuses on women filmmakers and showcases films written, directed, or produced by women. Screamfest, also known as the "Sundance of Horror," is the largest and longest running horror film festival in the United States. It runs from October 9 to October 19, 2018, Screamfest premieres and showcases new work from American and international independent horror filmmakers. It focuses primarily on independent films. The Shriekfest Film Festival, from October 4 to October 7, 2018, is the longest-running horror, sci-fi and fantasy film and screenwriting competition in LA. Zed Fest is a film festival and screenplay competition that encourages and supports low budget independent and amateur filmmakers and screenwriters who work in the zombie, horror, science fiction, and action genres. The event runs from November 6 to November 11, 2018. Burbank International Film Festival runs from September 5 to 9, 2018 and includes 100 film screenings from 31 countries. There is a grand opening and gala reception, talks featuring celebrities and industry professionals, red carpet receptions, parties, and special events that culminates with the closing night gala dinner and awards ceremony in 22 award categories on the final day. The Hollywood Film Festival is a week-long international film festival with a star-studded awards ceremony in Hollywood in September. The Global Film Festival Awards on November 30, 2018, celebrates the best of year competitions. Winners have the opportunity to meet with other artists, producers, managers, and agents. Best of the Best Film Festival in June is a worldwide competition that strives to give emerging writers, filmmakers, and actors an opportunity to compete based on their talent alone. New Media Film Festival works hard to produce a festival that highlights and honors the hard working and uprising content creators in the new media industry. This can include categories such as content created with 3D, augmented reality, artificial intelligence and/or 5D technologies, drones, digital comics, 360 virtual reality, and much more.